The rod is 2.01mm. The beads can be loaded on after removing the cap. 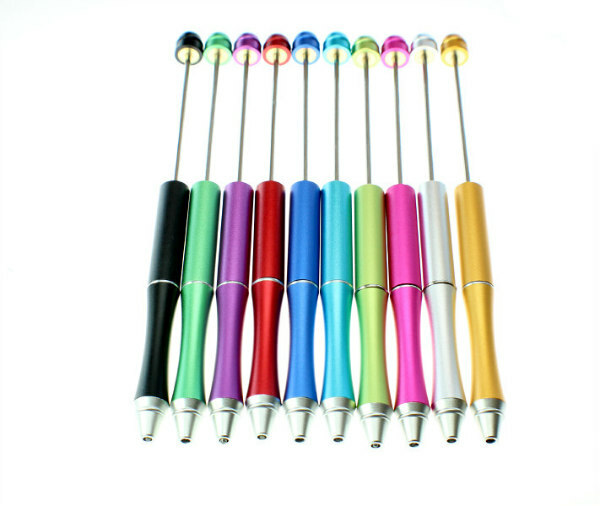 Choose from a variety of 10 colors of well-crafted metal bead pens. but the kits may not fit exactly. Choose from colors: Black, Gold, Royal Blue, Purple, Spring Green, Lime Green (not shown), Red, Turquoise, Silver & Hot Pink. We have created special bead kits that will ONLY fit on this pen.